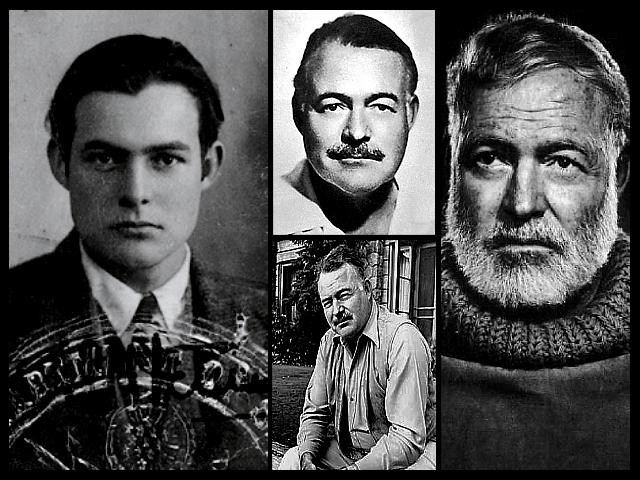 Ernest Miller Hemingway (July 21, 1899 – July 2, 1961) was an American author and journalist. His distinctive writing style, characterized by economy and understatement, influenced 20th-century fiction, as did his life of adventure and his public image. He produced most of his work between the mid-1920s and the mid-1950s. He won the Nobel Prize in Literature in 1954. 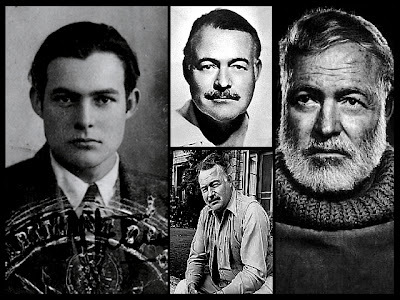 Hemingway's fiction was successful because the characters he presented exhibited authenticity that resonated with his audience. Many of his works are classics of American literature. He published seven novels, six short story collections, and two non-fiction works during his lifetime; a further three novels, four collections of short stories, and three non-fiction works were published posthumously. Hemingway was born and raised in Oak Park, Illinois. After leaving high school he worked for a few months as a reporter for The Kansas City Star, before leaving for the Italian front to become an ambulance driver during World War I, which became the basis for his novel A Farewell to Arms. In 1918, he was seriously wounded and returned home within the year. In 1922 Hemingway married Hadley Richardson, the first of his four wives, and the couple moved to Paris, where he worked as a foreign correspondent. During his time there he met and was influenced by modernist writers and artists of the 1920s expatriate community known as the "Lost Generation". His first novel, The Sun Also Rises, was published in 1926. After divorcing Hadley Richardson in 1927 Hemingway married Pauline Pfeiffer; they divorced following Hemingway's return from covering the Spanish Civil War, after which he wrote For Whom the Bell Tolls. Martha Gellhorn became his third wife in 1940; they split when he met Mary Welsh in London during World War II. During the war he was present at D-Day and the liberation of Paris. 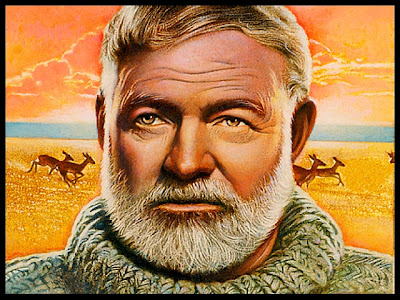 Shortly after the publication of The Old Man and the Sea in 1952 Hemingway went on safari to Africa, where he was almost killed in a plane crash that left him in pain or ill-health for much of the rest of his life. Hemingway had permanent residences in Key West, Florida, and Cuba during the 1930s and '40s, but in 1959 he moved from Cuba to Ketchum, Idaho, where he committed suicide in the summer of 1961 (Wikepedia). May 16, 1960 Castro Lands A Big One!